Herbal Nail Bar is dream of Don and Sophia Nguyen. They have over 20 years in the nail industry and they believe in a nail salon where you can have the greatest and latest Nail Trends and time of your nails. We are beyond a nail salon; we are a nail bar that cares about your long-term nail health. Herbal Nail Bar is a top of the line organic, herbal treatments nail spa. Our nail bar is an environment where our guests can relax, converse and have a piece of mind. We provide our guests with high quality treatments and top-notch customer service. From the moments our guest walk into our nail bar they can smell all natural quality herbal ingredients. We hear it countless times a day when we have our guest step in, “Wow, it smells so good in here”; whether they are smelling lavender, lemongrass, peppermint, it beats the usual chemical filled nail salon air. The atmosphere is cozy and inviting. From the moment our guests walk in the door we offer complimentary drinks and provide top of the line technology and comfort to service our guests to the best of our ability. Our unique positioning is set on the quality ingredients that we use along with the quality craftsmanship of our technicians. All of our herbal treatment pedicures are all natural, organic and customized for each guests need. Beyond our customer service skills that are very accommodating and focused on our guests we have also created a place for our guests to truly enjoy their nail time. We also consult with our guest to ensure that they are happy with the quality of our work and the health of their nails. We make sure to educate our customers on the best nail practices and nail enhancements that we offer. Our whole team functions as just that, a team; we work together to make sure that our clients are taken care of to the best of our ability. We have broken down every service we offer and have ensured that our process is the most time efficient and comfortable for our clients and technicians alike. Each station is very clean, comfortable and has up to date technology for our services. We have a very strict sanitation schedule and use the best all natural, organic cleaning solutions. We have adapted user-friendly tools that are disposable so our clients always have a fresh pair of tools for each service We try to make it as convenient as possible for our customers to check out our services and book online on our website. We give them control by being able to book their appointments online on our user-friendly booking system. Our ultimate goal from the moment we get a client walk in is to make sure that they have a nail experience like they haven’t before. An experience that they would describe as relaxing, invigorating and refreshing. We would like all of our guests to have an experience that exceeds their expectations so much that they can’t wait to come back to get their services with us. We offer a wide range of services at our nail bar and only use the best nail care products. 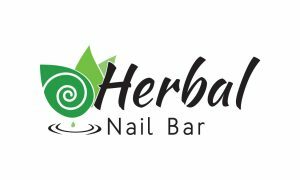 Whether you are looking for classic acrylic nails or SNS dip powder nails, need an invigorating pedicure or a waxing service, you can trust that you will get the best service and the best quality products at Herbal Nail Bar in Naples, Florida. To schedule an appointment for any of our services please call (239) 529-6527, or book an appointment online.